Ronaldo's case will be heard by UEFA's Control, Ethics and Disciplinary Body on September 27. 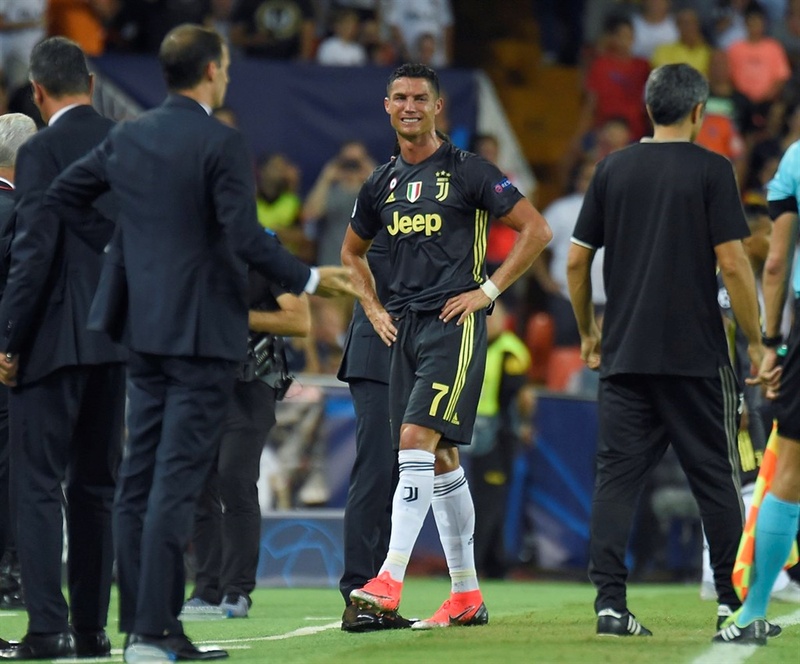 While opinions have been divided on the plausibility or otherwise of the red card issued to Cristiano Ronaldo on Wednesday (September 19th) in his debut Champions League game for Juventus, UEFA has confirmed disciplinary proceedings have been opened into the matter. Ronaldo was controversially dismissed just 29 minutes into his first outing for the Serie A champions in the competition after tangling with Jeison Murillo. The Portuguese star was shown a straight red card after appearing to raise his hand to Murillo, the defender tumbling to the ground and reacting to the Portugal international pulling at his hair. Having consulted with his assistants, referee Felix Brych sent Ronaldo off and the forward was reduced to tears as he left the pitch. The red card incurs a one-game suspension for the 33-year-old and he could face further punishment, potentially missing a return to Manchester United when Juve visit Old Trafford for the third Group H game on October 23.